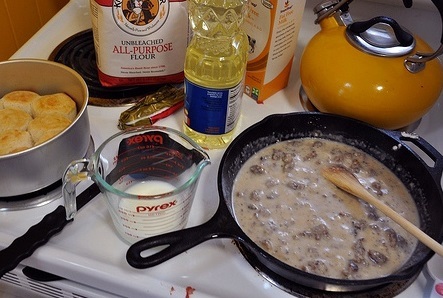 When the Sausage Gravy restaurant recipe met the Buttermilk Biscuit Recipe, everyone rejoiced and lived happily ever after! The one recipe has to go with the other for a fabulous breakfast treat. 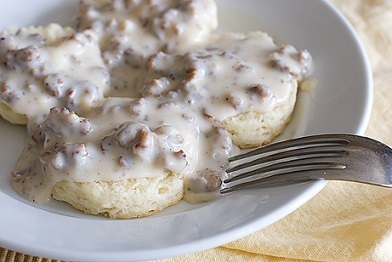 This is real American comfort food. Preparation time: about 25 minutes. 12 servings. Thanks for visiting. I know you, your family and your friends will enjoy this favorite restaurant recipe. Cooking Resources: A comprehensive resource for your cooking needs and desires. Check it out! 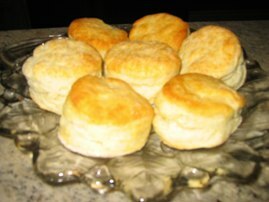 Enjoy your gravy (and biscuits) and the company of those you share them with. "My cooking is so awesome even the smoke detectors cheer me on."